The Doctors Revisited - SYLVESTER McCOY | Warped Factor - Words in the Key of Geek. Andrew Jero continues his daily retrospective of each Doctor's era. Today it's the turn of the Seventh, Sylvester McCoy. The fourth in my series of articles where I will be taking you through each of the Doctor's eras. I've been approaching this retrospective in ascending order of personal preference, and although Sylvester McCoy is only my 9th favorite Doctor, from here on out the good far outweighs the bad. 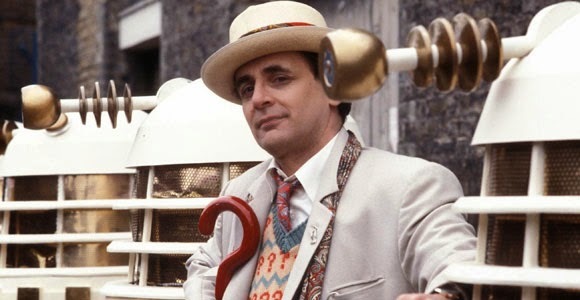 I'll offer up two examples of the Seventh Doctor's better stories, two middle of the road stories and two of his worst stories, and with those pieces of evidence attempt to justify his position on my list. Sylvester McCoy’s time on Doctor Who used to be my least favorite, but within the last two years I have reassessed the era and it has grown in my estimation - well, aside from season 24, which is my least favorite season of all. It's a year that is hard for anyone to defend. My favorite story from the Seventh Doctors era is also the penultimate story of the classic series and the third in one of my favorite ever seasons, The Curse of Fenric. The story takes place during World War II and does a beautiful job of expanding the mythology of Ace. Unfortunately, having Ghost Light and The Curse of Fenric follow each other it makes McCoy’s Doctor seem like a horrible person when you consider what he does in regards to Ace- making her face her fears in Ghost Light as well as making her deal with her relationship with her mother in Fenric. But all the same, Fenric is a beautifully written story, the Haemavores are really cool and provide a darker feel, the guest cast are all amazing which makes the whole thing an absolute joy to watch! 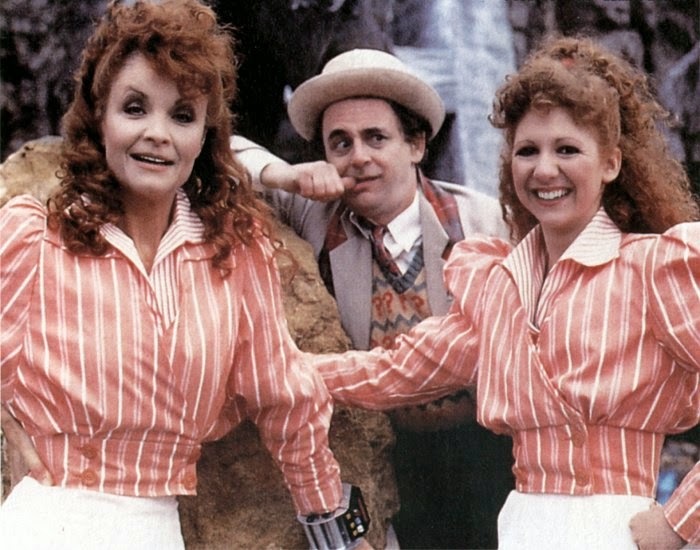 My second favorite Sylvester McCoy story is The Greatest Show in the Galaxy! Whilst the rap is very meh, the story itself is dark, witty and entertaining. The idea of clowns in a hearse is one of the scariest things Doctor Who has ever done, and brings a real sense of horror to the episode. Despite the entire story being shot inside a tent due to a strike, the episode holds up well, with one of my favorite scores in the classic series, as well as beautiful direction from Alan Wareing. McCoy begins to really grow in his performances from here on out, while Remembrance was good, this was the beginning of great for the Seventh Doctor's era. The end for season 25 earns a solid 8 out of 10. Now to the middle of the road McCoy stories, and I’ll start with the only story from the twenty-fourth season that’s actually worth watching, Paradise Towers. A story where the biggest problem is the execution; had this been made during the time of Philip Hinchcliffe then the lighting wouldn’t be full on bright, and so the mood of the story would be perfect. Also the Kangs would be completely horrifying which would’ve elevated the whole thing to a completely different level. But instead we have an over lit directionless adventure, with the worst companion ever - Mel. The score is easily one of the worst and leaves the audience wishing they had just put the subtitles on. Yet despite all this, the actual story works, and is still enjoyable. Closing out season 24 was a story that introduced us to Ace, Dragonfire. Its parts are better than its whole; Glitz is most definitely the highlight, alongside the melting of Kane’s face in part three. The story itself holds up well as it strays away a little from the comedy of the previous three season 24 adventures - although the actual cliffhanger is one of the worst moments in all of Doctor Who. McCoy does an okay job here but really doesn’t begin to shine until the start of season 25 and his only encounter with the Daleks on screen. The dragon itself isn’t bad and is a step forward in terms of production value, paving the way for what is, in my opinion, some of the best looking creatures ever seen in Doctor Who who grace the screen during Battlefield and The Curse of Fenric. 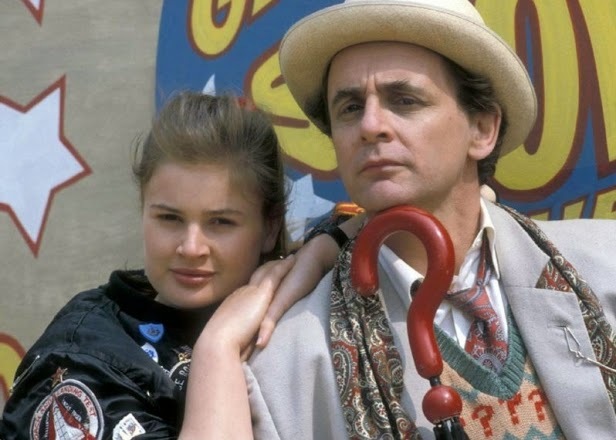 The worst of the Sylvester McCoy stories in my opinion are Delta and the Bannermen and Time and the Rani. Both of which are in my all time bottom five. Delta and the Bannermen is one of the poorest pieces of television to ever have been broadcast, it is a story that I only dared to revisit during a marathon about a year ago. 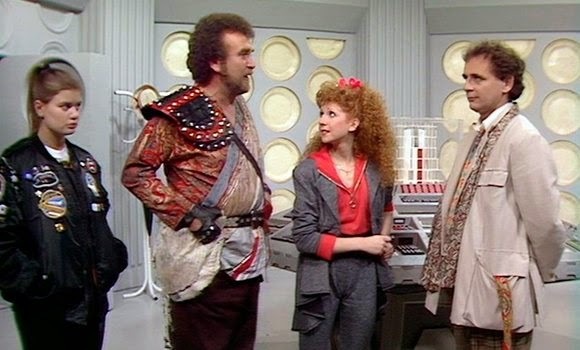 I really can't find a good thing to say about it, the plot makes no sense, the story contains the worst collective acting job in all of Doctor Who, with the entire supporting cast just terrible, but none of them worse than Bonnie Langford. And I can’t forgive or forget Ken Dodd’s horrid performance as the Tollmaster -the worst of John Nathan-Turner's stunt casting. 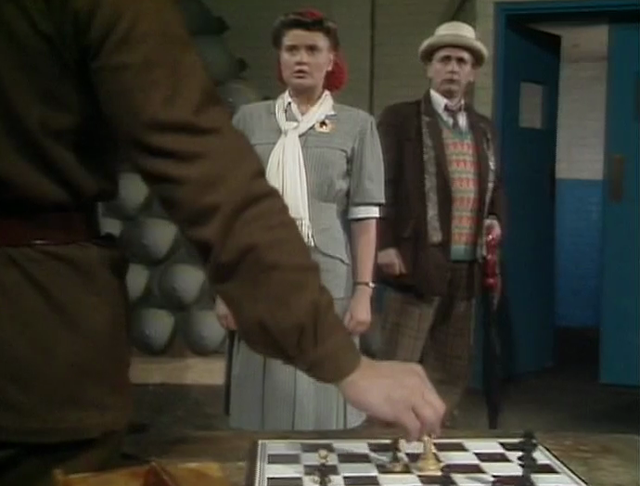 Why this was ever green lit is beyond me, poor Sylvester McCoy must've wondered what on Earth he'd gotten himself into. Time and the Rani is an insult to any fan of Doctor Who. It gives us the worst possible send off for any Doctor, and then presents us with 4 episode of post regeneration nonsense. It's another where the plot makes absolutely no sense, and is a true waste of the Rani and any potential the character may have had prior to this. The only way I can think that they could've saved this debacle is if Mel had died inside the pink bubble. That would’ve been enough to forgive everything else that is wrong with Time and the Rani. Overall the Seventh Doctor's time was a little hit and miss - if we could erase season 24 then it would be mainly all 'hit'! It was an era that got stronger as it went along, ending in a run of five top notch stories - Greatest Show In The Galaxy, Battlefield, Ghost Light, The Curse of Fenric and Survival. Not a bad legacy really.